When successful surgeon Roddy Dolan accepts medical-school classmate Dr. Vinzy Masconi's invitation to dinner, he's only expecting a great meal at Geppetto's, one of the Bronx's "Little Italy" restaurants. But what awaits him is far more than a perfectly prepared veal chop and risotto: Roddy is commanded to do the unthinkable. As his checkered past catches up with him, and with the clock ticking, the nightmare that's been unleashed exacts its bloody toll on someone he loves and challenges Roddy to the core of his soul. In this final book in the Mad Dog series, Roddy knows his chances for survival are slim. 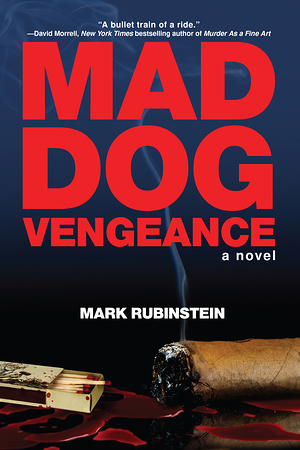 But he must draw from his "Mad Dog" past, when he and Danny Burns were kids on the tough Brooklyn streets. It's the only way he can hope to survive and overcome the impossible.